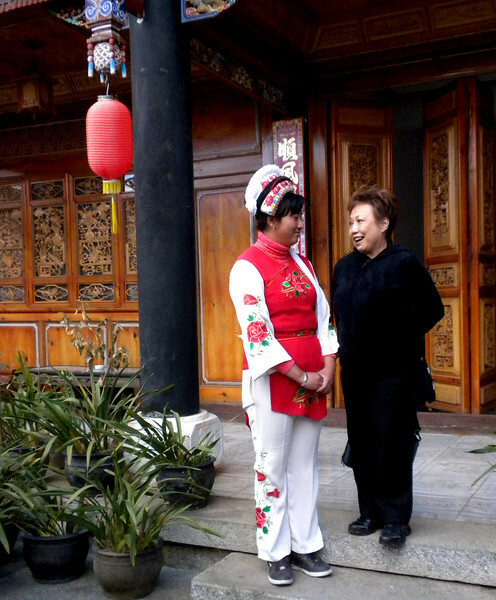 Dali (大理) - Inside the preserved estate of a wealthy Bai (白族) family. The Bai are skilled carvers and painters, as can be seen everywhere in this estate. The Bai is one of the 56 recognized ethnic groups in China. Here Beverly was chatting with a Bai lady in her ethnic dress.